As horticultural specialists, the team at John O’Conner understands how to help the vegetation and plant life around your grounds thrive throughout the year. Our soil preparation services are dedicated to establishing the optimal environment for your commercial lawns, garden areas and more. We handle every aspect of your grounds preparation on a one-off or seasonal basis, including suitable topsoil selection and landscape bed preparation for flowers and plants. We also perform full fertilisation and soil drainage services for even the most expansive outdoor spaces. If you’re eager to maintain a flourishing and attractive coverage of grass, plants and flowers across your grounds, maintaining your soil health is key. 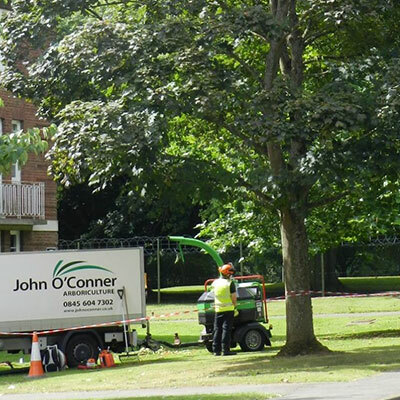 The team at John O’Conner will assess your grounds and implement the ideal soil care plan for your requirements, ensuring that every inch of your outdoor area stays healthy all year round. Contact us today for more information.